SALT-AWAY is a water-based, non-hazardous, biodegradable solution and contains properties that dissolve, release and remove salt crystals from any surface. Water alone will not remove salt. Use of SALT-AWAY will not correct past damage but will work to protect against salt corrosion and reduces costly repairs caused by salt. 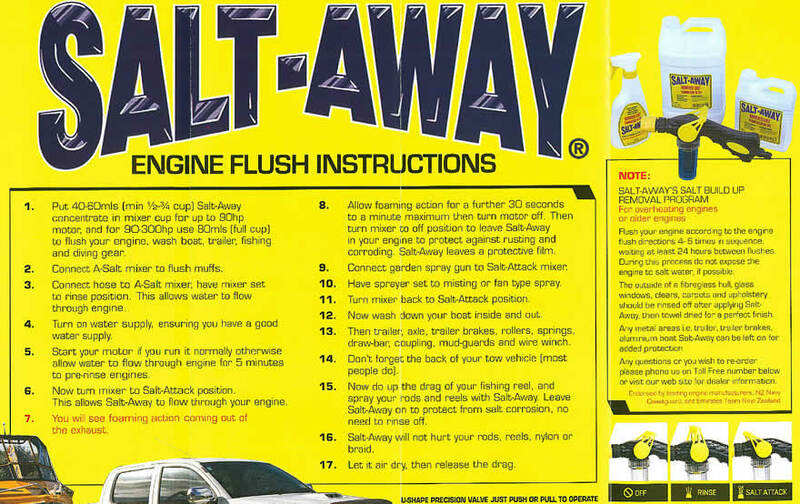 SALT-AWAY breaks apart and removes salt accumulation with repeated use. ​472 ml SALT-AWAY spray - ready to use.